Maybe it’s something in the air–or in the Gulf–but Americans have finally decided that they are willing to make personal sacrifices for the betterment of both the environment and the economy. In a recent national survey commissioned by GE, 79% of those polled said they would adjust their energy consumption habits and behaviors in the short term to ensure bigger changes in the long-term–most likely because 72% of respondents believe that their energy use can directly harm the country’s economic growth. As part of their commitment to change, 88% of those polled said they would be willing to use a smart device like a smart meter, thermostat, or smart appliance. 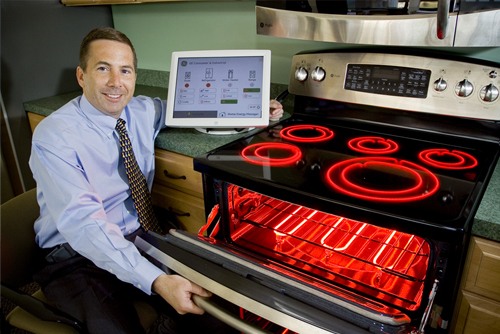 That’s encouraging news for companies like GE that are investing big bucks in smart grid-aware microwaves, oven ranges, hot water heaters, dryers, and more. These surveys are tied into larger concerns about the economy, as reported in a poll this week from the New York Times and CBS. According to the poll, 48% of Americans disapprove of the way the President is handling the economy, and only 34% believe that Obama has a clear plan for creating jobs. And while GE’s survey indicates that Americans are willing to take charge on energy issues, the CBS poll shows that they also want government leadership. Fifty-nine percent of those polled think that Obama doesn’t have a plan to deal with the Gulf oil disaster, and the majority of respondents want more environmental regulation for offshore drilling. Changing attitudes about energy use might not be directly related to the Gulf oil disaster, but the heartbreaking images of oil-soaked animals certainly have an effect. And as long as environmental issues impact our checkbooks, Americans will continue to care.